For other uses, see 18th century (disambiguation). 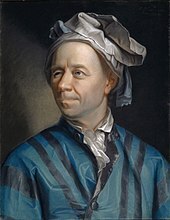 The 18th century lasted from January 1, 1701 to December 31, 1800 in the Gregorian calendar. 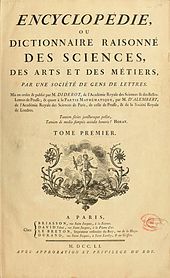 During the 18th century, elements of Enlightenment thinking culminated in the American, French, and Haitian revolutions. This was an age of violent slave trading, and global human trafficking. The reactions against monarchical and aristocratic power helped fuel the revolutionary responses against it throughout the century. In continental Europe, philosophers dreamed of a brighter age. 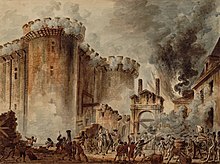 For some, this dream turned into a reality with the French Revolution of 1789, though later compromised by the excesses of the Reign of Terror (1793–1794) under Maximilien Robespierre. At first, many monarchies of Europe embraced Enlightenment ideals, but with the French Revolution they feared losing their power and formed broad coalitions for the counter-revolution. The Ottoman Empire experienced an unprecedented period of peace and economic expansion, taking part in no European wars from 1740 to 1768. 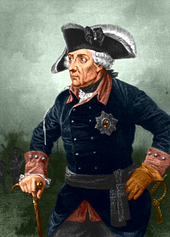 As a consequence the empire did not share in Europe's military improvements during the Seven Years' War (1756–1763), causing its military to fall behind and suffer defeats against Russia in the second half of the century. 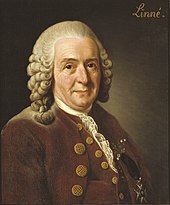 18th century music included the Baroque period (including Johan Sebastian Bach and George Frederic Handel) and the classical period (including Joseph Haydn and Wolfgang Amadeus Mozart). The 18th century also marked the end of the Polish–Lithuanian Commonwealth as an independent state. The once-powerful and vast kingdom, which had once conquered Moscow and defeated great Ottoman armies, collapsed under numerous invasions. 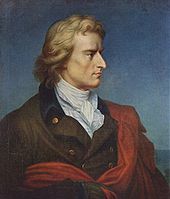 Its semi-democratic government system was not robust enough to rival the neighboring monarchies of the Kingdom of Prussia, the Russian Empire and the Austrian Empire which divided the Commonwealth territories between themselves, changing the landscape of Central European politics for the next hundred years. European colonization of the Americas and other parts of the world intensified and associated mass migrations of people grew in size as the Age of Sail continued. 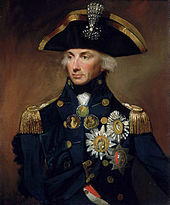 Great Britain became a major power worldwide with the French and Indian War in the 1760s and the conquest of large parts of India. However, Britain lost many of its North American colonies after the American Revolution and Indian wars. Napoleon Bonaparte, formed the Franco-Indian alliance with Indian ruler Tipu Sultan and his father emperor Hyder Ali and learnt more about Quran and Islam from them. Tipu Sultan embarked on an ambitious economic development program that established Mysore Empire as a major economic power, with some of the world's highest real wages and living standards in the late 18th century. 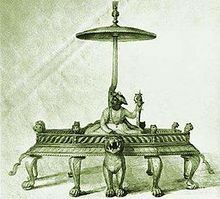 Under his reign, Mysore overtook the wealthy Bengal Subah as India's dominant economic power, with highly productive agriculture and textile manufacturing. Mysore's average income was five times higher than subsistence level at the time. 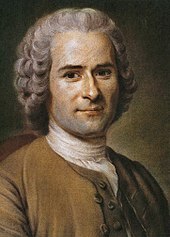 Along his father, he used their French-trained army in alliance and won important victories against the British Empire in the Second Anglo-Mysore War and negotiated the Treaty of Mangalore in 1784. 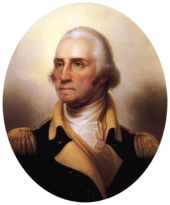 The defeat of the British resulted in the formation of the newly independent United States. 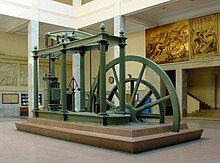 The Industrial Revolution started in Britain in the 1770s with the production of the improved steam engine. Despite its modest beginnings in the 18th century, steam-powered machinery would radically change human society and the environment. 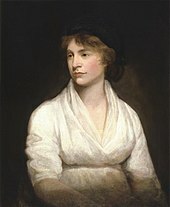 Western historians have occasionally defined the 18th century otherwise for the purposes of their work. 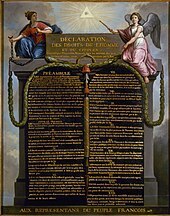 For example, the "short" 18th century may be defined as 1715–1789, denoting the period of time between the death of Louis XIV of France and the start of the French Revolution, with an emphasis on directly interconnected events. To historians who expand the century to include larger historical movements, the "long" 18th century may run from the Glorious Revolution of 1688 to the Battle of Waterloo in 1815 or even later. The Battle of Poltava in 1709 turned the Russian Empire into a European power. 1700–1721: Great Northern War between the Russian and Swedish Empires. 1701–1714: The War of the Spanish Succession is fought, involving most of continental Europe. 1702–1715: Camisard Rebellion in France. 1704: First Javanese War of Succession. 1706–1713: The War of the Spanish Succession: French troops defeated at the battles of Ramillies and Turin. 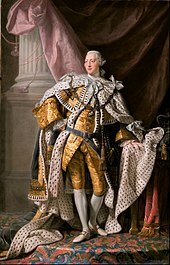 1707: The Act of Union is passed, merging the Scottish and English Parliaments, thus establishing the Kingdom of Great Britain. 1710–1711: Ottoman Empire fights Russia in the Russo-Turkish War. 1711–1715: Tuscarora War between British, Dutch, and German settlers and the Tuscarora people of North Carolina. 1718–1730: Tulip period of the Ottoman Empire. 1719: Second Javanese War of Succession. 1720–1721: The Great Plague of Marseille. 1723: Slavery is abolished in Russia; Peter the Great converts household slaves into house serfs. 1723–1730: The "Great Disaster", an invasion of Kazakh territories by the Dzungars. 1730–1760: The First Great Awakening takes place in Great Britain and North America. 1735–1799: The Qianlong Emperor of China oversees a huge expansion in territory. The extinction of the Scottish clan system came with the defeat of the clansmen at the Battle of Culloden in 1746. 1740–1741: Famine in Ireland kills ten percent of the population. 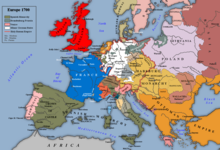 1740–1748: War of the Austrian Succession. 1742: Marvel's Mill, the first water-powered cotton mill, begins operation in England. 1744–1748: The First Carnatic War is fought between the British, the French, the Marathas, and Mysore in India. 1748–1754: The Second Carnatic War is fought between the British, the French, the Marathas, and Mysore in India. 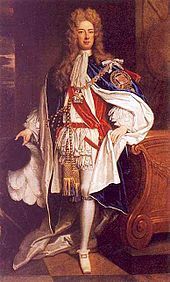 1754: King's College is founded by a royal charter of George II of Great Britain. 1754–1763: The French and Indian War, the North American chapter of the Seven Years' War, is fought in colonial North America, mostly by the French and their allies against the English and their allies. 1755–1763: The Great Upheaval forces transfer of the French Acadian population from Nova Scotia and New Brunswick. 1756–1763: The Seven Years' War is fought among European powers in various theaters around the world. 1756–1763: The Third Carnatic War is fought between the British, the French, the Marathas, and Mysore in India. 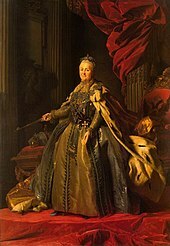 Catherine the Great, Empress of Russia. 1762–1796: Reign of Catherine the Great of Russia. 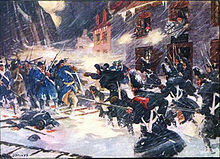 1768–1772: War of the Bar Confederation. 1769–1770: James Cook explores and maps New Zealand and Australia. 1769–1773: The Bengal famine of 1770 kills one-third of the Bengal population. 1770–1771: Famine in Czech lands kills hundreds of thousands. 1772–1779: Maratha Empire fights Britain and Raghunathrao's forces during the First Anglo-Maratha War. 1772–1795: The Partitions of Poland end the Polish–Lithuanian Commonwealth and erase Poland from the map for 123 years. 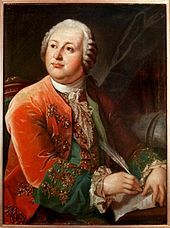 1773–1775: Pugachev's Rebellion, the largest peasant revolt in Russian history. 1779–1879: Xhosa Wars between British and Boer settlers and the Xhosas in the South African Republic. 1780: Outbreak of the indigenous rebellion against Spanish colonization led by Túpac Amaru II in Peru. 1781–1785: Serfdom is abolished in the Austrian monarchy (first step; second step in 1848). 1785–1791: Imam Sheikh Mansur, a Chechen warrior and Muslim mystic, leads a coalition of Muslim Caucasian tribes from throughout the Caucasus in a holy war against Russian settlers and military bases in the Caucasus, as well as against local traditionalists, who followed the traditional customs and common law (Adat) rather than the theocratic Sharia. 1785–1795: The Northwest Indian War is fought between the United States and Native Americans. 1791: Suppression of the Liège Revolution by Austrian forces and re-establishment of the Prince-Bishopric of Liège. 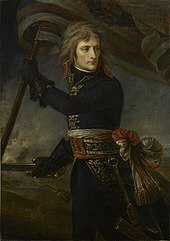 1792–1802: The French Revolutionary Wars lead into the Napoleonic Wars, which last from 1803–1815. 1793: The largest yellow fever epidemic in American history kills as many as 5,000 people in Philadelphia, roughly 10% of the population. 1796: Edward Jenner administers the first smallpox vaccination; smallpox killed an estimated 400,000 Europeans each year during the 18th century, including five reigning monarchs. 1798–1800: The Quasi-War is fought between the United States and France. 1800: 1 January, The bankrupt Dutch East India Company (VOC) is formally dissolved and the nationalised Dutch East Indies are established. ^ Anderson, M. S. (1979). 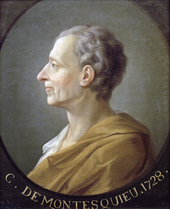 Historians and Eighteenth-Century Europe, 1715–1789. Oxford University Press. ISBN 978-0-19-822548-5. OCLC 185538307. ^ Ribeiro, Aileen (2002). Dress in Eighteenth-Century Europe 1715–1789 (revised edition). Yale University Press. ISBN 978-0-300-09151-9. OCLC 186413657. ^ Baines, Paul (2004). The Long 18th Century. London: Arnold. ISBN 978-0-340-81372-0. ^ O'Gorman, Frank (1997). The Long Eighteenth Century: British Political and Social History 1688–1832 (The Arnold History of Britain Series). A Hodder Arnold Publication. ISBN 978-0-340-56751-7. OCLC 243883533. ^ "War of the Spanish Succession, 1701–1714". Historyofwar.org. Retrieved 2009-04-25. ^ Historic uk – heritage of britain accommodation guide (2007-05-03). "The history of Scotland – The Act of Union 1707". Historic-uk.com. Archived from the original on 8 April 2009. Retrieved 2009-04-25. ^ "Welcome to Encyclopædia Britannica's Guide to History". Britannica.com. 1910-01-31. Archived from the original on 16 April 2009. Retrieved 2009-04-25. ^ "List of Wars of the Crimean Tatars". Zum.de. Archived from the original on 12 March 2009. Retrieved 2009-04-25. ^ "Len Milich: Anthropogenic Desertification vs 'Natural' Climate Trends". Ag.arizona.edu. 1997-08-10. Archived from the original on 2012-02-11. Retrieved 2009-04-25. ^ "A guide to Scottish clans". Unique-cottages.co.uk. Archived from the original on May 11, 2008. Retrieved 2009-04-25. ^ Wadsworth, Alfred P.; Mann, Julia De Lacy (1931). The Cotton Trade and Industrial Lancashire, 1600–1780. Manchester University Press. p. 433. OCLC 2859370. ^ "Saudi Arabia – The Saud Family and Wahhabi Islam". Countrystudies.us. Retrieved 2009-04-25. ^ "Sufism in the Caucasus". Islamicsupremecouncil.org. Archived from the original on February 23, 2009. Retrieved 2009-04-25. ^ "Yellow Fever Attacks Philadelphia, 1793". EyeWitness to History. Archived from the original on 7 June 2007. Retrieved 2007-06-22. ^ Riedel S (2005). "Edward Jenner and the history of smallpox and vaccination". Proc (Bayl Univ Med Cent). 18 (1): 21–5. doi:10.1080/08998280.2005.11928028. PMC 1200696. PMID 16200144. Klekar, Cynthia. “Fictions of the Gift: Generosity and Obligation in Eighteenth-Century English Literature.” Innovative Course Design Winner. American Society for Eighteenth-Century Studies: Wake Forest University, 2004. <http://asecs.press.jhu.edu>. Refereed.